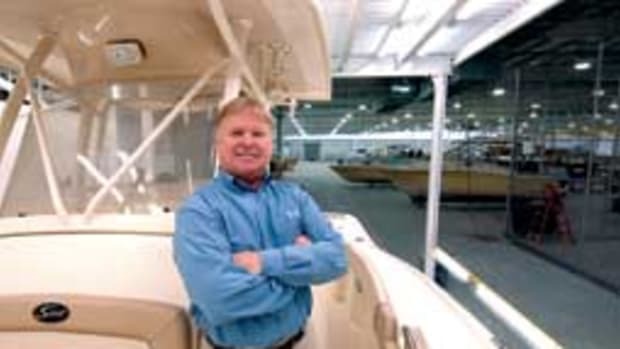 A Wellcraft V20 that had sunk three times gave rise to a young Bill Blount’s passion for boats, which has morphed into a successful career in the marine industry. It didn’t hurt that his father is renowned powerboat designer Donald L. Blount. “I was 14 years old and had my first 20-foot fishing boat. 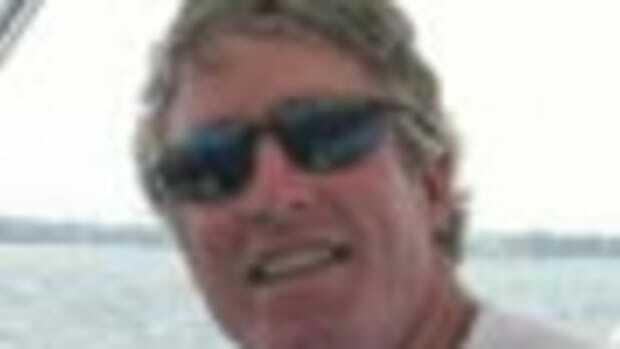 I was loving life and was hooked,” says Bill Blount, who is 46. Blount became the CEO of Donald L. Blount and Associates last July after 12 years as manager of business development. 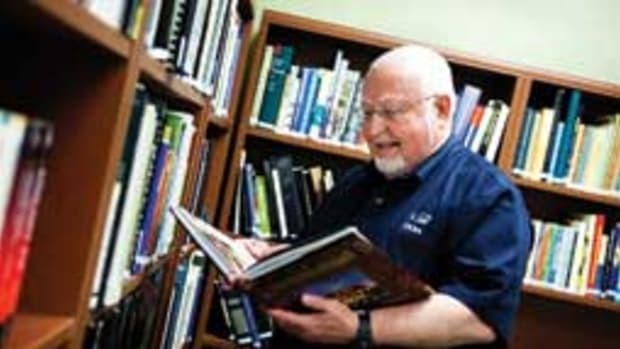 His father founded the company in 1988, designing vessels for the Coast Guard and then moving into sportfishing boats. Blount has been around boats all his life, gaining practical knowledge from his father along the way. 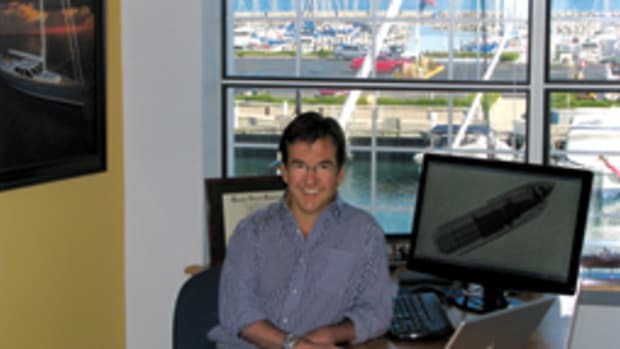 He has helped build Chesapeake, Va.-based DLBA into a multiservice firm that employs 22 people, including seven naval architects, five marine engineers, seven CAD designers and one industrial designer (www.dlba-inc.com). 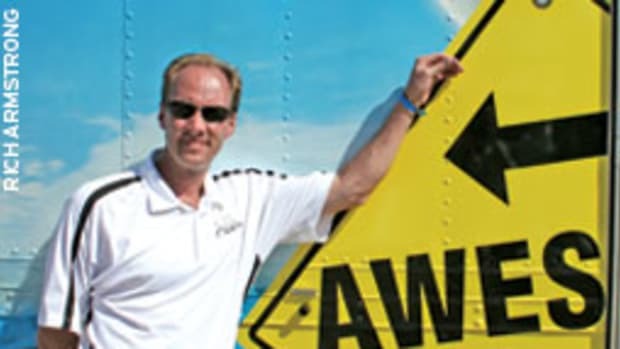 Blount believes it’s important to be honest and straightforward with customers regarding the pluses and minuses of a design, and he’s quick to remind boaters of the inaccurate performance claims floating around the marine market. 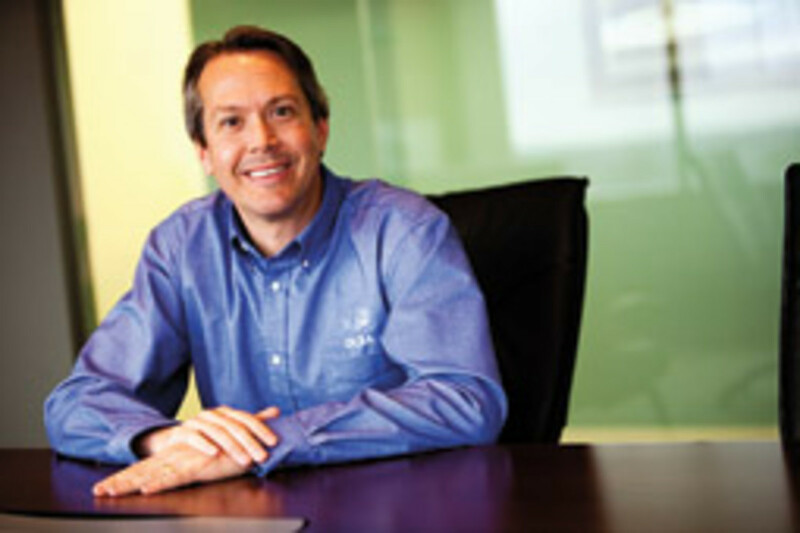 Blount’s brother, Doug, is president of DLBA Robotics, a sister company that provides CNC-machined patterns, plugs and limited-production molds for markets in the composites industry. Blount and his wife, Christy, have 11-year-old twins — Cassidy and Davis. The family lives in Virginia Beach, Va.
What are some of the yachts you’ve designed or helped with design or naval architecture? In the support role of production builders, there [were] over 20 builders on display at [the February Miami boat shows] that we support behind the scenes. Examples are Tiara Yachts, Marquis Yachts and Cruisers Yachts. We work in conjunction with them. 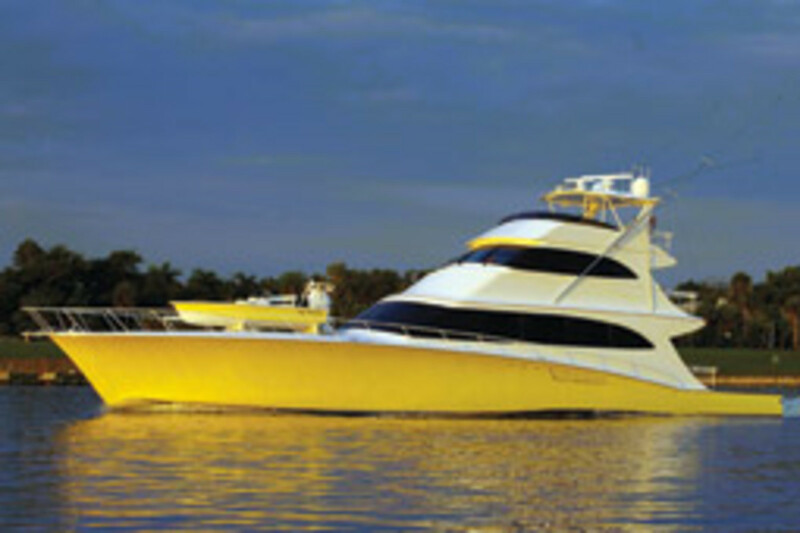 The Hatteras 63GT is an example. The Regal 52 and the Jupiter product line are also examples. 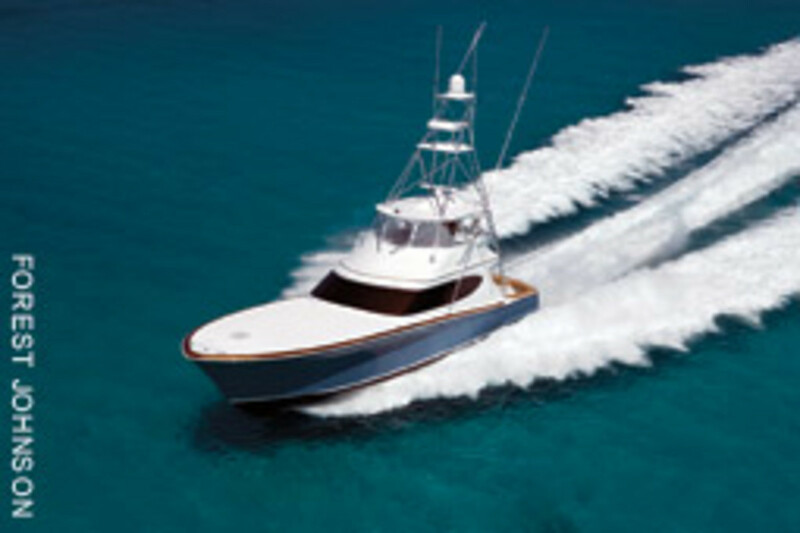 When you get to the big sportfish builders, we design for Jim Smith Boats in Florida, Bayliss Boatworks in North Carolina and Weaver Boatworks in Maryland. There are probably 50 models from 25 feet to 150 feet that we have had some involvement with. We have a lot of non-disclosure agreements and support a lot of companies behind the scenes. We provide technical guidance in hull-form development, performance, propulsion, structural design and styling. How do you balance performance, efficiency and the use of space when you engineer or design a boat? For a given hull form, there is a proper weight and longitudinal center of gravity to ensure vessel performance and an enjoyable ride. There are more equipment and options that make boating more enjoyable today, which can create the potential for an owner to want to overload the boat. But we utilize advanced engineering software to perform the necessary calculations — the science — and often utilize rendered images and stereolithography to demonstrate volume constraints. Most individual clients have difficulty understanding 3-D space relationships. If you hand them a stereolithography model and show them rendered images, you can demonstrate where there will be space constraints. Where owners and designers get into trouble — and we’ve made mistakes — is when they keep answering “yes” to the owner. You have to have the backbone and say, “Stop! You have put so much equipment in this boat it is now going to influence performance.” We have been to the school of hard knocks and made this mistake before. We’ve been pushed around by adamant or firm owners, but we aren’t anymore. Our design philosophy is a balance of science, technology and style. How do you apply that philosophy in a way the customer can understand? Stereolithography and rendered images are commonly used. Three-D printing is cutting-edge. For owners to be able to pick up a model and see the interior of their yacht is tremendously helpful. If you find out something needs to be changed at that point in the process, it is an inexpensive change. For about 90 percent of our work, the technical tool is CAD design. In the initial stages we do a lot of hand-sketching to get closer to the bull’s-eye, the intent of the customer. 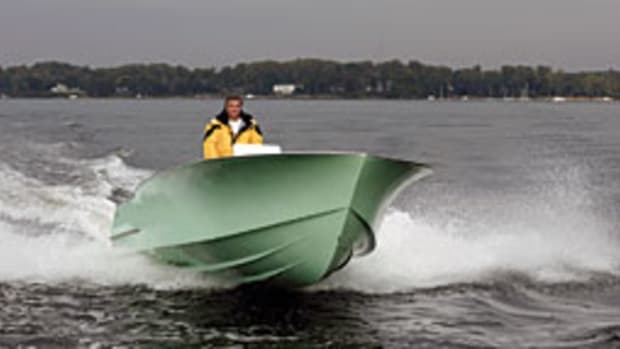 What are the biggest challenges facing powerboat designers? Maintaining a talented staff. Why does someone pick up the phone and call us? It is the experience of the staff at applying design practices and principles that we have developed. The experiences of going through construction — that is the value. All of our project managers have a minimum of 10 years’ experience with our firm. We are not only able to meet a customer’s expectations but get it done on time. Design plans don’t come together overnight. It is a blend of personalities and technical training. That’s what I tell owners. The biggest challenge in the coming years? Propulsion-related issues — balancing the environmental concerns and propulsion efficiency as fuel prices rise. We have to continue to deal with that, which gets you into the discussion of alternative energy possibilities or improved propulsion systems. What hulls forms will remain popular or emerge? We don’t limit ourselves to any hull form. We listen to the customer and find out how and where the boat will be used. We think stepped hulls are really good in some applications and that catamarans have great functionally. We just finished a refit on a catamaran yacht. We have a catamaran patrol boat design, and we will be doing another cat design. But at the end of the day — 10 to 15 years from now — monohulls will still dominate because of their overall utility. Are there any difficulties working with new propulsion technologies? We embrace the new propulsion systems coming out. It’s all good and re-energizes boating and boaters and boating companies. Thank goodness pods entered the market when they did and not in 2009 because they probably would have gone nowhere. We work with many companies, helping them integrate these systems into yachts. The only thing you have to watch out for is sometimes clients get fixated on the marketing of a system. You have to explain to them why it might not be the best application for their boat. That is probably the one difficult aspect. Sometimes a customer sees an ad or talks to a salesman at a show, and they get all fired up. But the propulsion system they want may not be the right fit. Are pods here to stay, and will we see them in even larger vessels? Pods have made inroads in the sportfish market, and pods are here to stay, but the sportfish market is alive and well in the upper 60s and really well in the 70s, 80s and 90s. With the bigger boats, the only power options right now are the inboard diesels. It is mainly Caterpillar and MTU — traditional straight shaft — and I don’t see that changing. What I do see from 45 feet and up is the continued growth of gyro-stabilization technology. I don’t know many sportfish boats that aren’t getting the gyro option. We, at the very least, design the boat with that feature built in. Who inspired you or influenced your career? I would have to say that No. 1 is my father because if I don’t I will be disowned [laughs]. Certainly my father has influenced me, but he has influenced a lot of younger folks within the industry. My father started his career designing patrol boats for the Navy. It was always about rough-water, high-performance operation in extremely demanding environments. So it was an easy transition from designing military boats from 30 to 120 feet to the sportfish market. I would like to throw out another name — Buddy Davis. He had a lot of charisma. My father got involved with Buddy on the Davis 61. That was the first boat they worked on together. 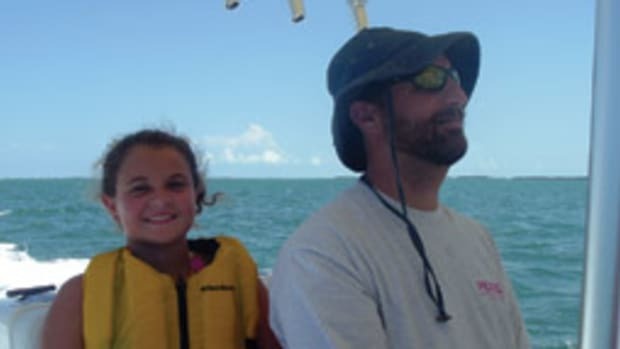 As a builder and a businessman, Buddy had his ups and downs, but he knew he had to blend the aesthetics of a sportfishing boat with excellent performance and seakeeping qualities. He knew it was a compromise. You must have grown up boating. Most certainly. I had a jonboat at 12. I couldn’t drive a car, but I could take my boat to my best friend’s house by water. That was pretty cool growing up. What’s the most notable boat you’ve created or worked on? Certainly it would be a sportfisherman. It could go back to the Davis 61, but I am not sure many people remember that boat. We did a number of boats for Buddy, but the 61 was his most commercially successful. 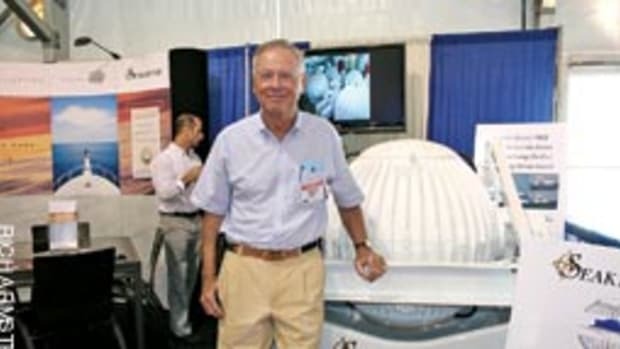 Is there another naval architecture company that impresses you? Companies like us and Vripack get calls from boat owners wanting to know how they can save 25 percent. “What magic dust can you sprinkle on my yacht?” It doesn’t exist. Either they are making it up, or they’re starting from such a horrible design base that they can easily make changes to come away with a 20 percent improvement.